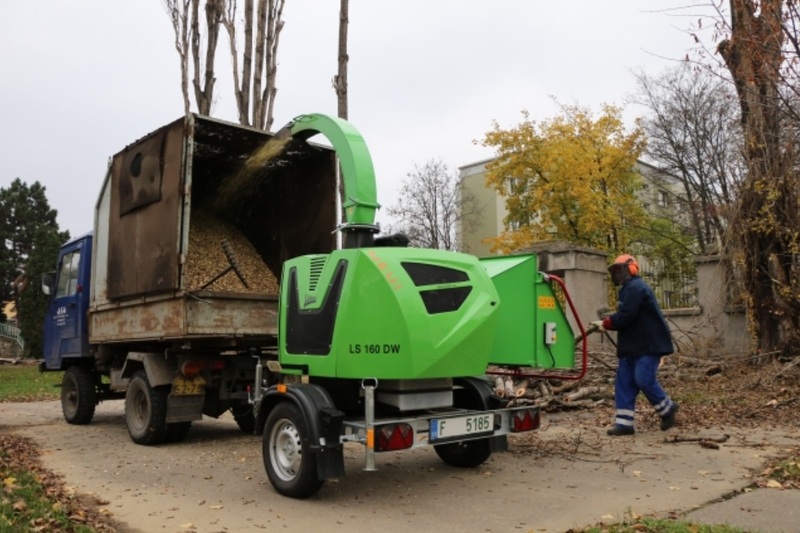 The chipper LS 160 DW is a compact machine intended for disposal of wood waste, twigs, bark, branch-wood and other above-ground biomass, for chipping of redundant timber such as sticks, deals, pickets etc. 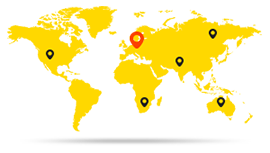 and also for manufacture of chips from aforesaid materials. It can dispose all these materials with diameters up to 160 mm. 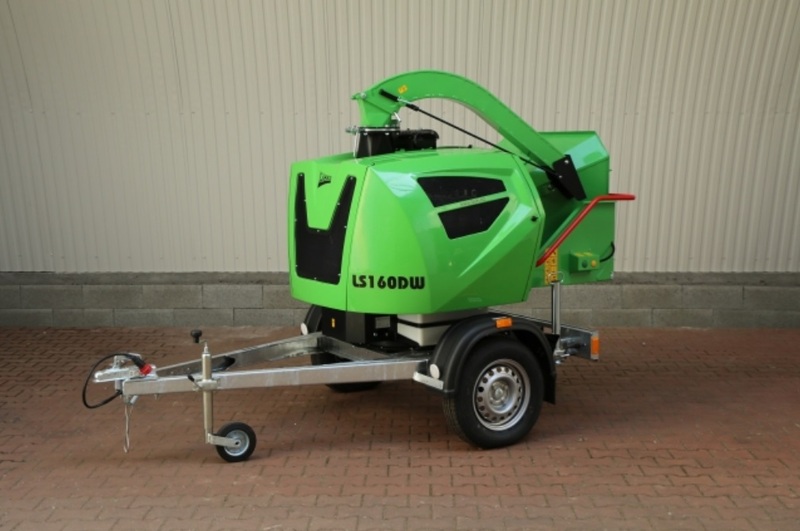 Its turnable upper frame part is equipped with a swivel base so that the loading chute is accessible from any side. 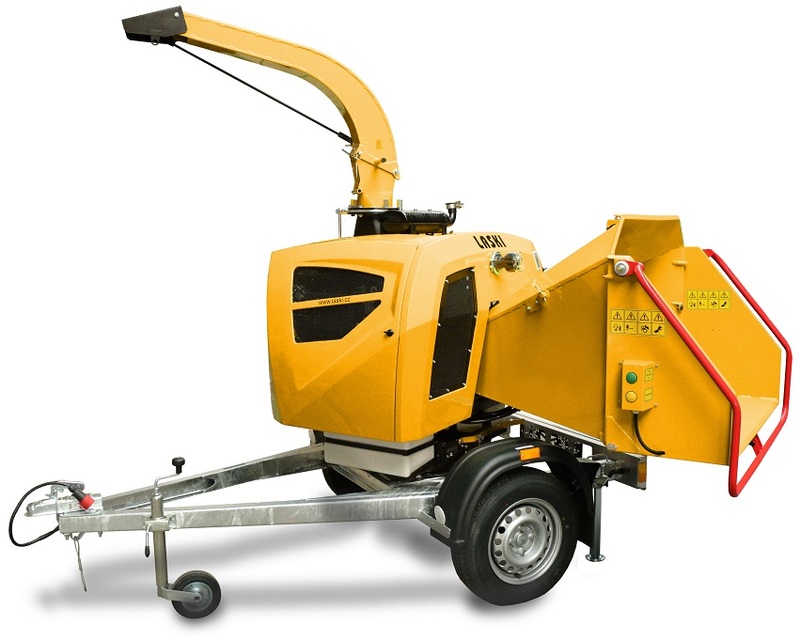 The chipper is also equipped with two loading rolls hydraulically controlled and linked to an automatic system as overload protection of its combustion engine. Furthermore, standard equipment comprises also environmentally friendly water-cooled 30 HP Kohler diesel engine.